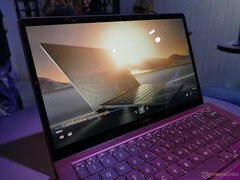 The lightweight laptop is exactly as thin as the ZenBook 3 UX490UA but with improved cooling and a unique hinge setup. Asus is promising better ergonomics and external GPU (eGPU) support via its integrated Thunderbolt 3 ports. 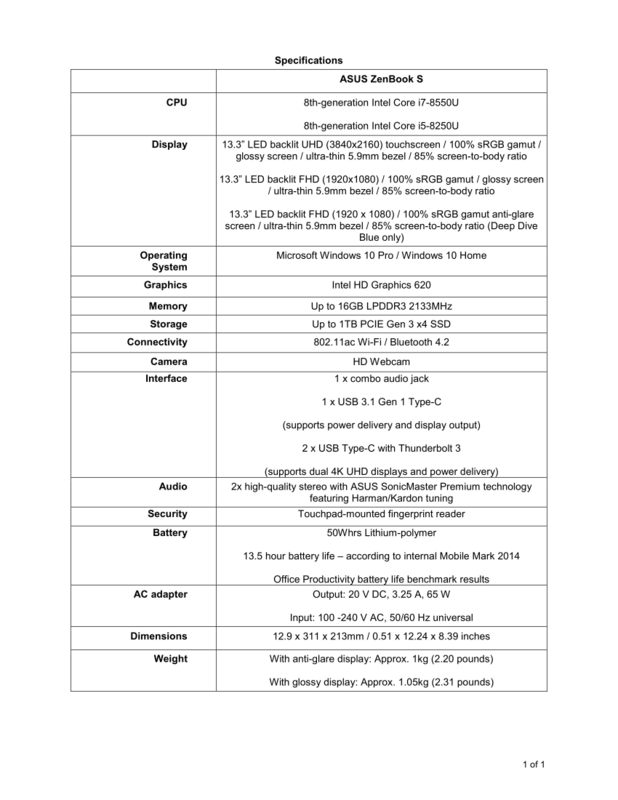 The system launches in one week for $1200 USD. Asus is pulling no punches at Computex this year. The ROG gaming smartphone and ZenBook UX480/UX580 notebook with touchscreen trackpads will surely turn heads, but the ZenBook S UX391 will satisfy the ultrathin and portable niche occupied by the HP Spectre 13, XPS 13, LG Gram 13, and Asus' own ZenBook 3. 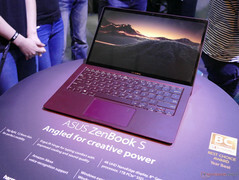 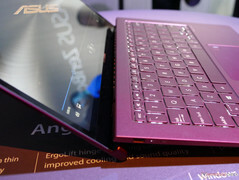 The 13.3-inch ZenBook S UX391 commands a few features unique to its "ZenBook S" product line. 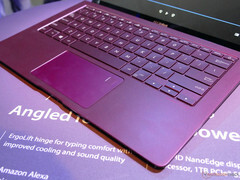 The most notable is its ErgoLift hinge that raises the keyboard by 5.5 degrees for improved ergonomics, cooling, and audio. Its concept is similar to the "hooked" hinges of some HP Envy and Pavilion systems, but we'll have to wait and see if stability will be a concern in more in-depth tests. For now, however, its core specifications will be very impressive given the thin 12.9 mm chassis including the i7-8550U CPU, 16 GB 2133 MHz LPDDR3 RAM, 1 TB PCIe x4 SSD, 1 kg weight, narrow NanoEdge bezels, 4K UHD touchscreen, and dual Thunderbolt 3 ports. 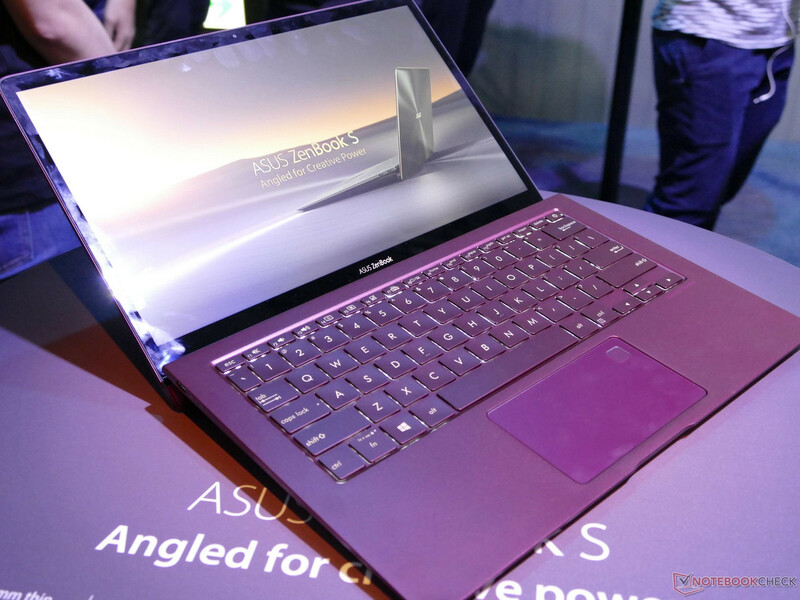 The system is not passively cooled as it utilizes a "liquid-crystal-polymer fan" with 71 blades that promises 13.4 percent more airflow and a 5 C temperature improvement over previous ZenBook models. 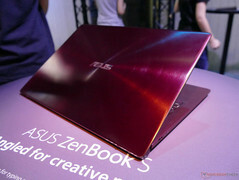 The ZenBook S UX391 is launching on June 11 for a starting price of $1200 USD. We recommend checking out the official product page here for more technical information and details. 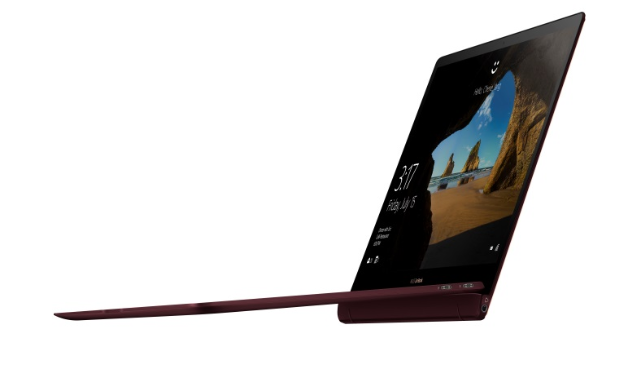 12.9mm profile and ultralight 1kg all-metal unibody, the sophisticated ZenBook S is finished in prestigious Deep Dive Blue or elegant Burgundy Red with Rose Gold diamond-cut edges, complete with the iconic Zen-inspired spun-metal finish for a luxurious look and feel. 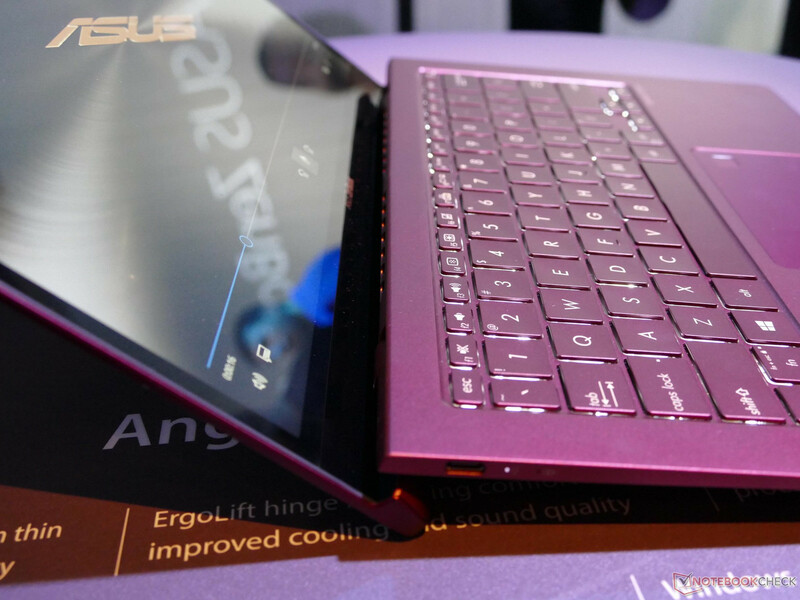 the ultimate typing comfort. 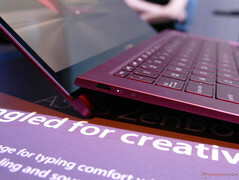 The raised chassis also improves airflow and enhances audio performance. performance. 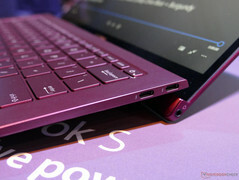 For ultrafast connectivity, two of the three USB-CTM ports support ThunderboltTM 3. 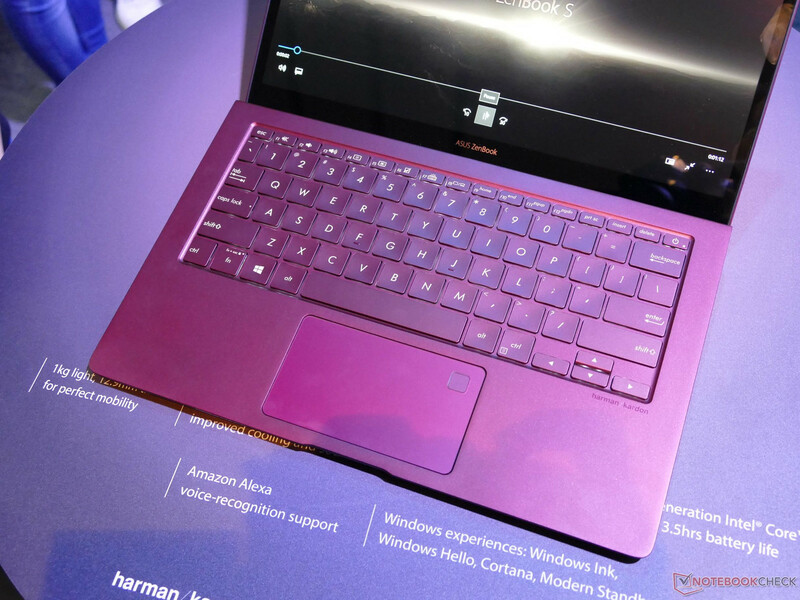 ZenBook S features Amazon Alexa support for easy voice-controlled assistance.